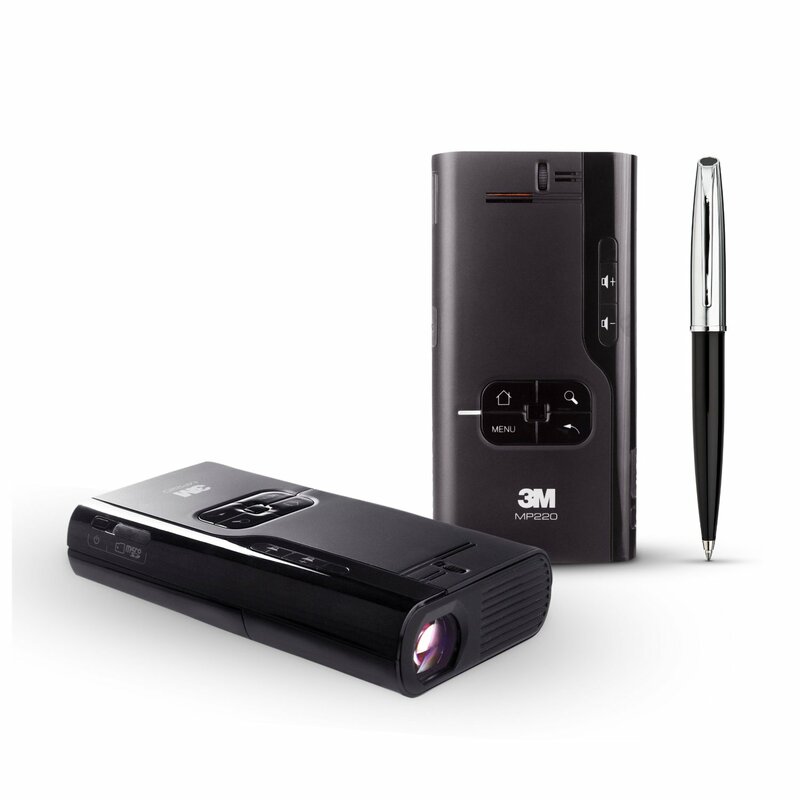 Part of 3M’s range of ‘pocket’ projectors, the 3M MP220 is one of the dinkiest around. Pumping-out a 1024×600 pixel resolution picture (it downscales from anything more), this 413g palm-sized beamer isn’t just a laptop slave. Armed with an simple, modified Android-based operating system, it’s possible to drag-and-drop files right onto the MP220’s 2GB innards; using its own media player software, it then projects the likes of MOV, MPEG-4 and H.264 files directly. It can also display Microsoft Word, PDF and Powerpoint files, JPEG photos, and play MP3 music through its tiny teeny speaker.The MP220 is all about convenience rather than power, but its images are fairly versatile. Blow them up to the theoretical maximum of 75-inches and you’ll likely be disappointed; around half that is bright enough despite being only 75 lumens. Just keep the curtains closed and/or the lights off. Battery life lasts about two hours, so it’s better suited to TV than movies, but as Pico projectors go, the MP220 is highly capable.